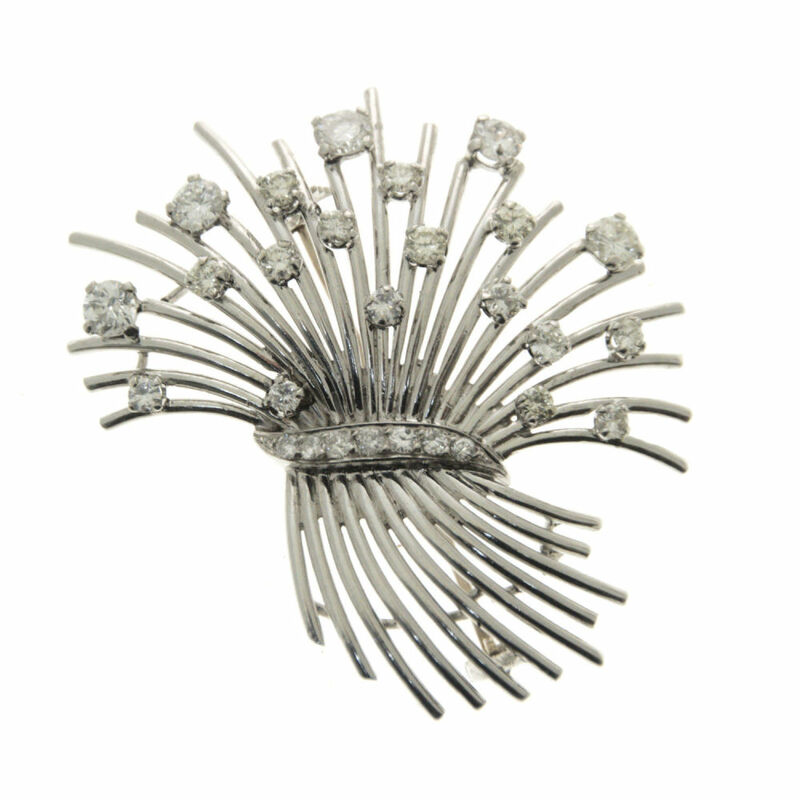 Bidspirit auction | 14k White Gold Diamond Brooch. 14k White Gold Diamond Brooch. Set with 27 diamonds in total weight of about 1.9ct.